The English Language Canon Powershot G11 owner’s manual / operating instructions (Canon calls it the “PowerShot G11 Camera User Guide”) is now online and available for download at Canon.com (right-click and save the user guide to your hard drive). If the download link didn’t work for you, go to the Brochures & Manuals download section for the G11 and manually locate the file PSG11_CUG_EN.pdf. 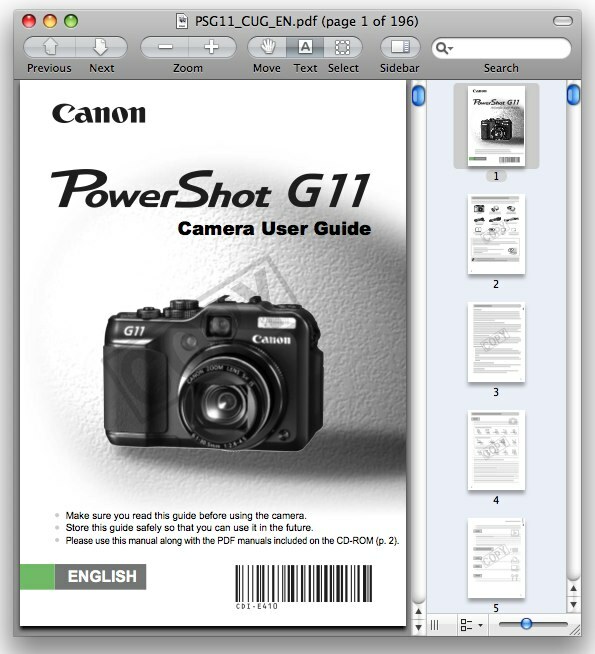 Unlike with Nikon, Canon allows you to freely print the Powershot G11 owner’s handbook without building in any password protection into the PDF. There is a watermark displayed on each page though. The file size of 196-page Canon G11 Adobe Acrobat PDF document is 5.6 MB (megabytes). The guide discusses the features of the G11 and how to use the camera. 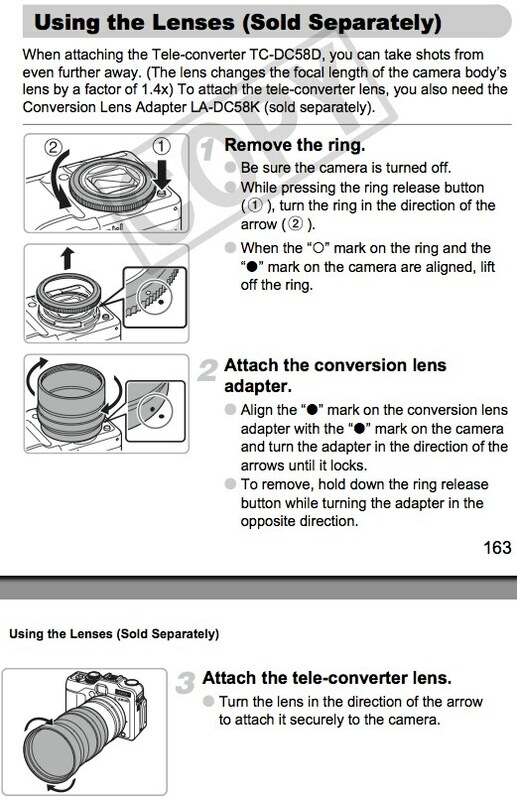 Pages 163 and 164: Attaching the Tele-converter TC-DC58D and Conversion Lens Adapter LA-DC58K. Pages 167 and 168: Using an externally mounted Canon flash. 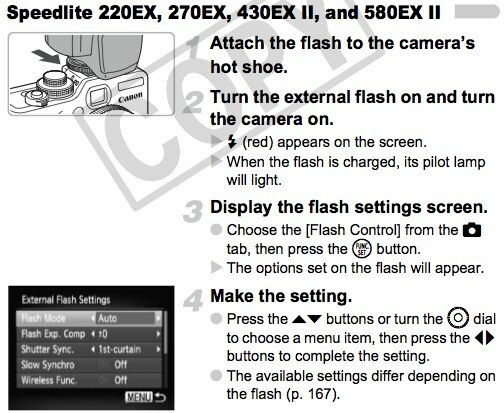 The manual mentions the following Speedlite flash units: 220EX, 270EX, 430EX II and 580EX II. Popular Canon G11 books and other printed literature and reading material in the Arts & Photography and Books section on Amazon.com.